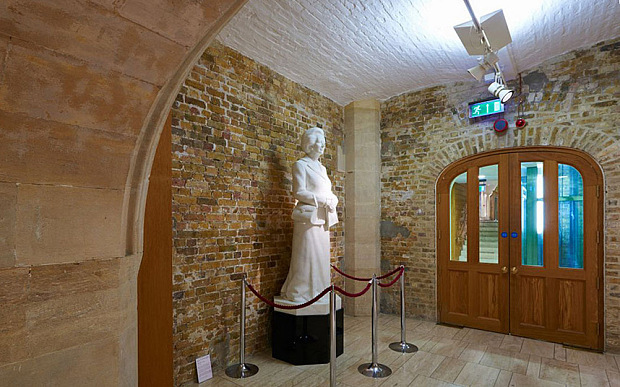 The Guildhall Art Gallery, City of London, has moved a statue of Baroness Thatcher from their permanent collection to a corridor away from crowds. 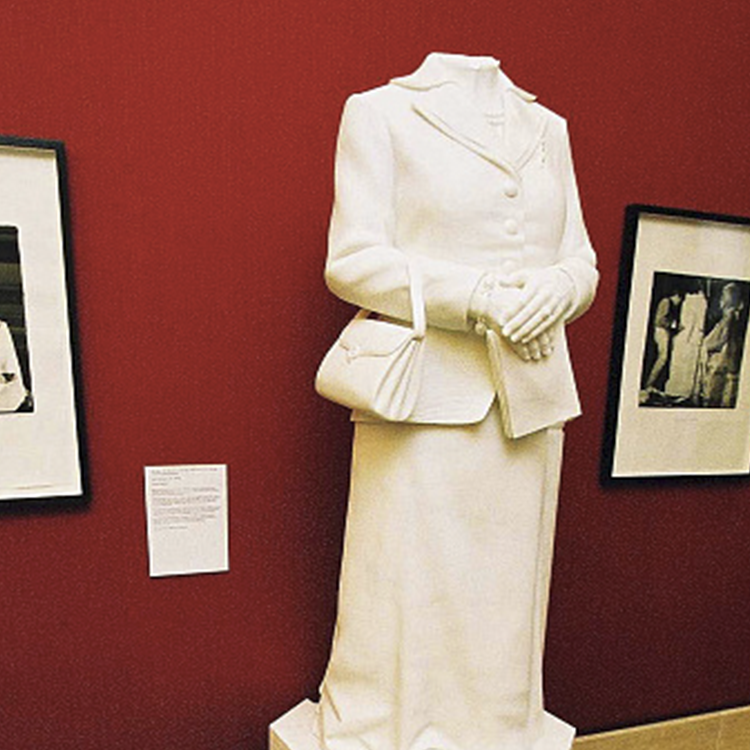 The statue in question once had its head removed by a protestor, and the gallery claim it has not been moved because of fears of further vandalism, instead it was moved during a rehang to a space where curators decided the lighting was more suited to the piece. Neil Simmons £150 000 work which depicts the former Prime Minister was first exhibited in the gallery in 2002. The same year, it was beheaded using the metal rope support stanchion by a protester. 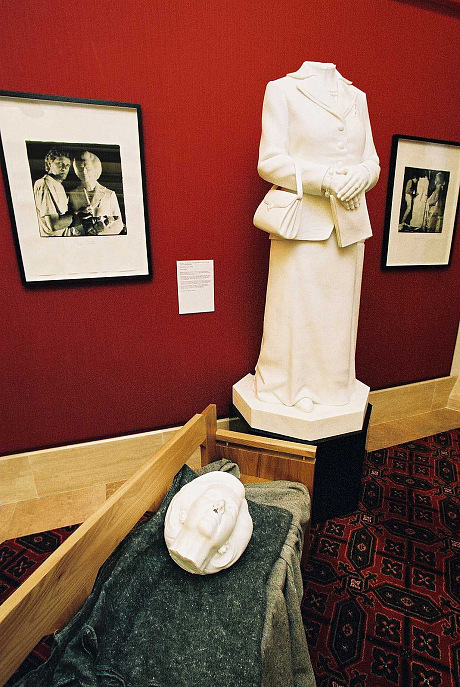 The marble work was commissioned in 1998 by the Speaker's Advisory Committee on Works of Art, Thatcher unveiled the statue, which was originally planned for display in the House of Commons. Visitors will now need to request to see the sculpture. A spokesman for the gallery said: "The new location shows it off very well with some good new lighting." "We moved it during the rehang as a trial, and thought it worked very well against the stone and brick without distractions."